The Trinamool Congress-led Opposition’s demand for the State government’s dismissal may gain shrill stridency in the months ahead. 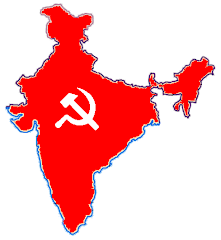 As the Left leadership in West Bengal introspects, and seeks ways to win back the confidence of the State’s electorate at large in the wake of the pointers thrown up by the Lok Sabha elections, the greatest challenge ahead for the Left Front government relates to governance. The Trinamool Congress-led Opposition’s demand for its dismissal may gain shrill stridency in the months ahead. There are already signs that its leader Mamata Banerjee may step up her confrontational campaign. The next Assembly elections are two years from now and the Left parties do not have too much time to brace for them with new strategies. Ms Banerjee will undoubtedly press even harder for early polls now that she is in the government at the Centre. She may be hoping to cash in on what she has described as a “storm for change” in West Bengal. Coming in the way of her efforts will, however, be the Constitution. True, there has been erosion in the electoral base of the Left that has resulted in its worst electoral showing since it assumed power in the State 32 years ago. But does it follow, as Ms Banerjee would like all to believe, that the polls — by their very definition a choice of the government at Centre — constitute a mandate against the Left Front government and that it has no “moral right” to continue in power? The Trinamool Congress leadership has been arguing that what it alleges is “state-sponsored terrorism” is reason enough for the State government to be “dismissed.” This has been its refrain that reached a crescendo as a turf war raged in Nandigram during much of 2007. Any move by the authorities to restore order was promptly dubbed as state terrorism. This makes the State government’s task to take deterrent action when there is a breach in law and order all the more formidable. Left leaders have cautioned that attempts could be made to create anarchy. Steps to restore peace and order in the face of disruptive activity could mean the State government risking facing the charge of being a “sponsor” of “terrorism.” The police had entered the Nandigram area on March 14, 2007 not to grab land for a proposed chemical hub as was rumoured, but to facilitate the restoration of normality in a region cut off from much of the district for weeks, with roads dug up and culverts damaged. The deaths in police firing and the violence that followed were indeed unfortunate, as was any loss of life. Singur, the site of the now relocated Nano project of Tata Motors, was another flashpoint. The embers there are being stoked afresh. Emboldened by an electoral verdict that suggests that apprehensions of being robbed of their farmland weighed heavily on the minds of peasants who constitute a large chunk of the rural electorate, Ms Banerjee is gearing to renew the agitation that had forced Ratan Tata to move out. The Trinamool Congress has been demanding the return of 400 acres of land it alleges was “forcibly acquired” for the small car project. Staring the State government — still smarting under the impact of an anti-incumbency factor that also was evident in the polls — in the face is another phase of agitations in Singur. Ms Banerjee has also vowed to oppose the setting up of the proposed chemical hub at Nayachar — what was initially planned for Nandigram. She is throwing a challenge not just to the government’s programme for greater industrialisation but to governance as a whole. The Left leadership has admitted that the debate on farmland acquisition for industry could have determined in a big way the voting pattern in rural south Bengal. The events in Singur and Nandigram have, it is conceded, had a negative impact on the process of industrialisation in the State. There is already indication of the Left Front government going slow on future plans to acquire farmland for either industry or infrastructure development projects: at its first Cabinet meeting after the elections it was decided that plans to acquire land for the development of a city centre in Kharagpur be put on the backburner. Also being considered are alternative strategies to make land available for industry and to prepare a land bank. That it will be putting greater emphasis on seeking a broader political consensus before setting up major projects that necessitate acquisition of farmland in a State where the land-holding pattern is characterised by its intensiveness, has been reiterated. Whether the Trinamool Congress will agree to join in talks for a consensus in the matter at a time when Ms Banerjee has upped the ante against the State government is another matter. She seems to be spoiling for a fresh bout. Her rhetoric is increasingly forceful. Even as desperate efforts are on to provide succour to the over six million people reeling under the impact of cyclone Aila, she is demanding that the Central financial assistance for the victims should bypass the State Secretariat and be given to the local panchayats for disbursement. Incidentally, it is the Trinamool Congress that controls the local bodies in some of the areas worst affected by the calamity. Add to this the “state-sponsored terrorism” Ms Banerjee accuses the State government of resorting to, and she believes she has a case for its “dismissal” — a demand the previous government at the Centre had paid little heed to and for which it was severely derided by her. Today she is a part of a government headed by the same Prime Minister, led by the same party — once an adversary, now a partner sharing common ambitions in West Bengal.